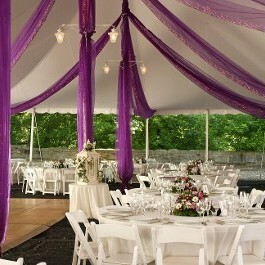 Tents, Tables, Chairs, Bounce Houses and More in Maryland, DC, and Surrounding States. 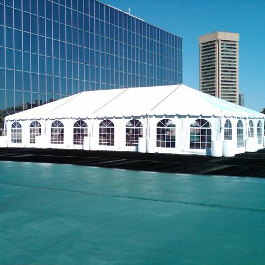 When planning an event, we are the headquarters for tents, tables, chairs, stages, and other party rentals in Baltimore, MD. Events from weddings, corporate functions, backyard parties, or any social gathering, contact us at 410-836-0085 or email us your rental request. One of our associates will start working on your behalf to make sure your party rental experience is very pleasant. Learn more by letting us show you how worry-free the process can be for party and tent rentals in Baltimore, MD and surrounding areas. 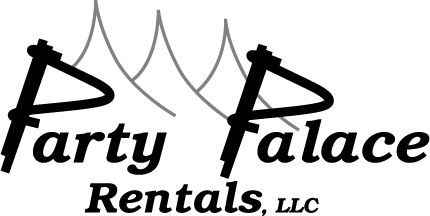 Party Palace Rentals also offers emergency services 24/7 for disaster relief and industrial accounts. With our party equipment rentals, we can make planning any party worry-free and fun. Take the stress off your shoulders, impress your guests, and create memories that will last a lifetime with our elegant selection of event tents rentals in Baltimore, MD. These attractive tents add a special something to any gathering. Whether you're throwing a garden party or hosting a wedding, we have something for you. 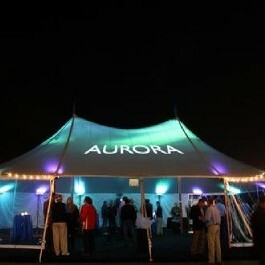 Find the right tent for your upcoming special occasion with our straightforward sizing information. Our representatives are happy to help if you need. With easy delivery and installation services, you will receive the effortless results you deserve. Sit back and relax while we take care of the hard work. Graduations, disaster relief, or commercial, we have you covered. When hiring party planning assistance, you deserve to know that your event is going to be a success. When you take advantage of our incredible services, this is exactly what you can expect. As a member of the American Rental Association (ARA) of Maryland, and the Mid-Atlantic Tent Renters Association, we take pride in servicing your selections with the highest quality of attention. Our dedication is to assist you with outstanding performance and to achieve exceptional results. Make your party one to remember with our help!